If you are on the north east coast you are probably digging yourself out of a record snowfall! We spent our big blizzard night watching old classic Audrey Hepburn movies and eating cream of vegetable soup. 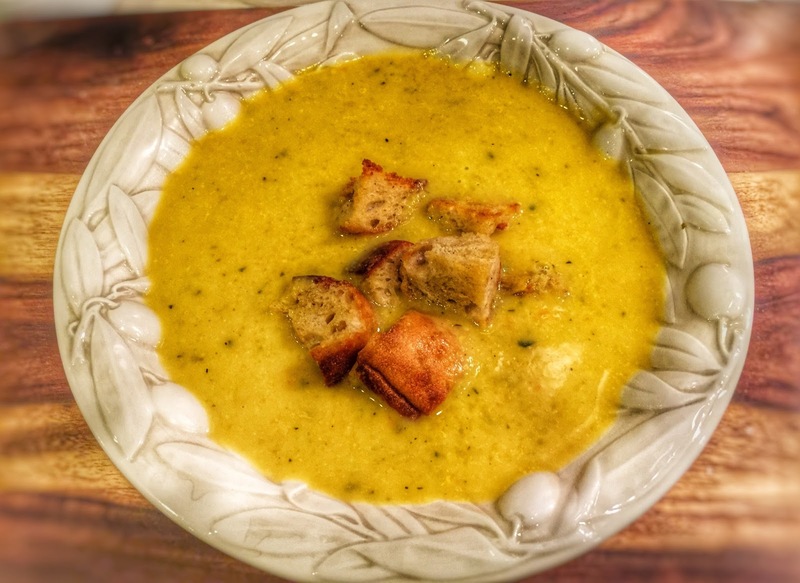 Since it is one of my favorites I thought I would share the recipe with you! 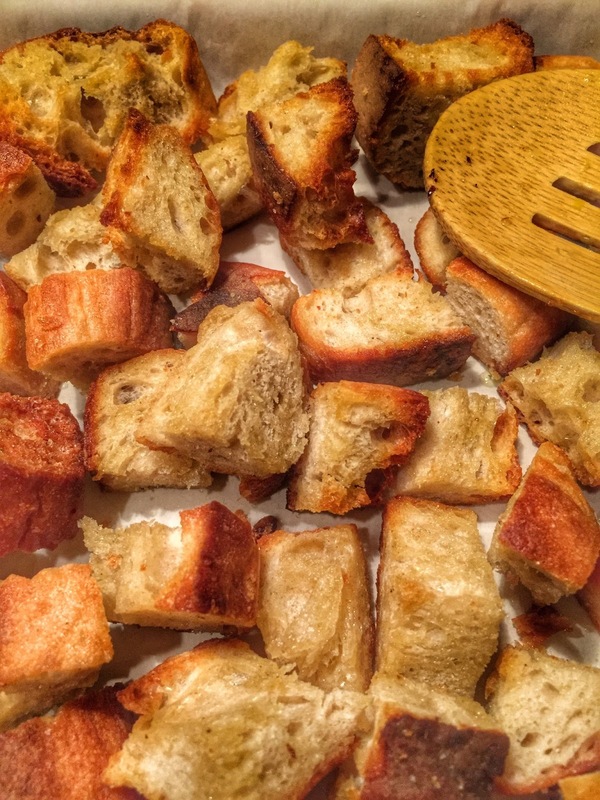 I made homemade croutons from loaf of french bread that was a few days old. I sliced the bread, quartered each slice, tossed them with olive oil and sea salt, spread on a cookie sheet and then baked at 450 degrees for about 10 minutes, until crispy. I turned them every few minutes. You could also add garlic powder or any seasoning you like. This soup is so, so easy! I add turmeric, salt, oregano, and rosemary. I didn't measure but I would say about a tablespoon of each. Maybe a little more turmeric. Use whatever spices sound good to you for vegetable soup! 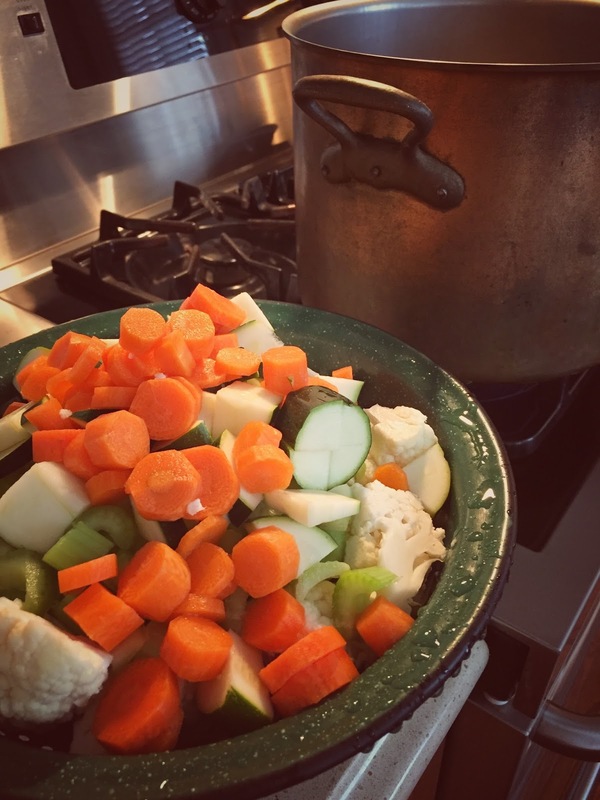 Let all of this simmer for 30 minutes until the vegetables are soft. 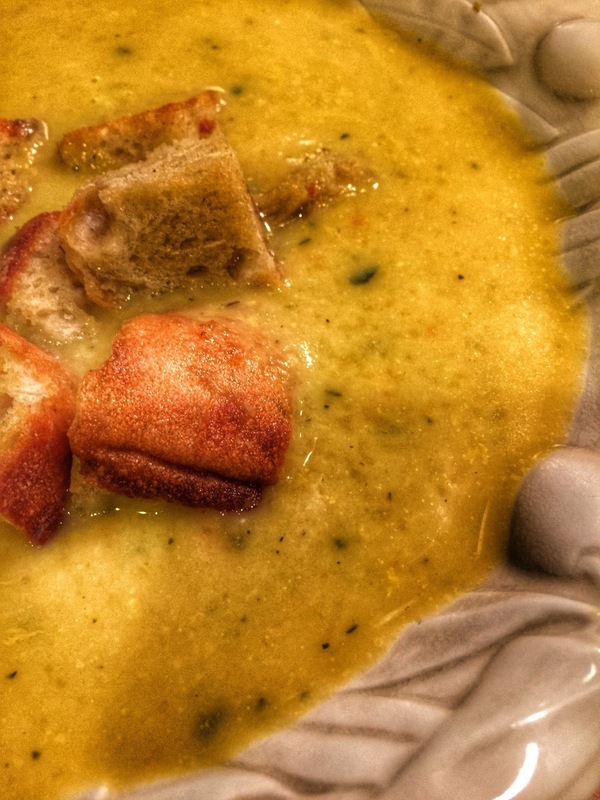 Use an immersion blender to blend into a thick bisque. I add a half of a can of full fat coconut milk, but you can also use a half cup to one cup of milk. Adjust your seasonings and top with croutons.